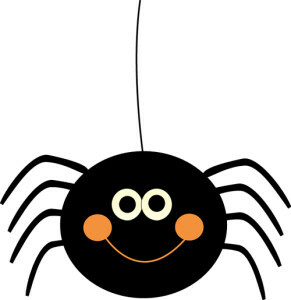 If you are unfamiliar with our Annual Halloween Spooktacular, then you are missing out for sure! 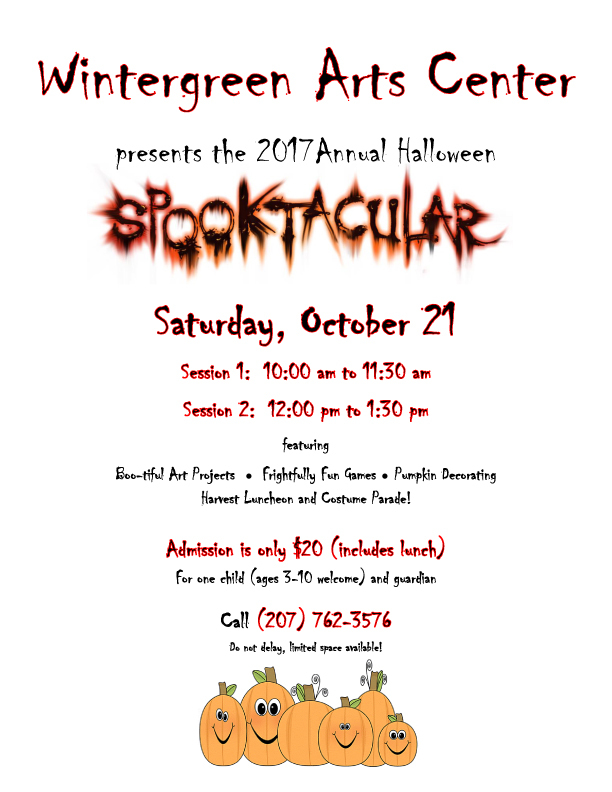 On October 21, we welcomed little ghouls, goblins, princesses, pirates, and other costumed friends ages 3 to 10 years old into our festively decorated Arts Center! 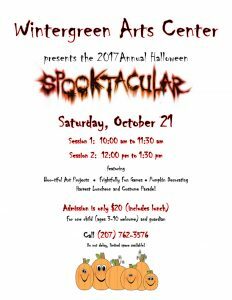 FEATURING: Boo-tiful art projects, frightfully fun games, pumpkin decorating, a harvest-themed luncheon, and COSTUME PARADE. Admission only $20.00 which includes lunch for one child (ages 3-10) and one guardian. With each pre-purchased ticket, an array of fun awaits! Each child will receive their own real pumpkin to decorate! 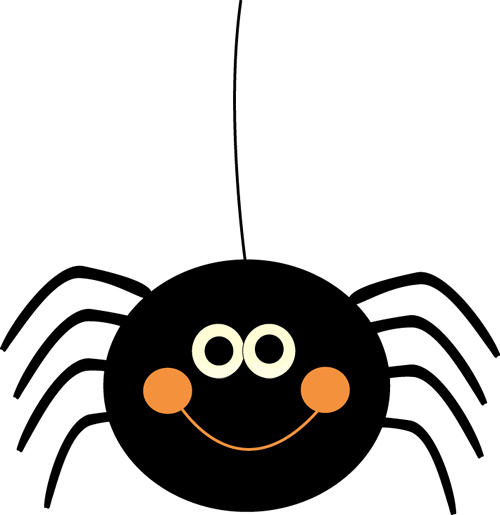 There will be three different craft activities, including a customized trick-or-treat bag. There will be games to play, prizes to win, and a face painting corner to make your child as pretty [or scary] as they please! 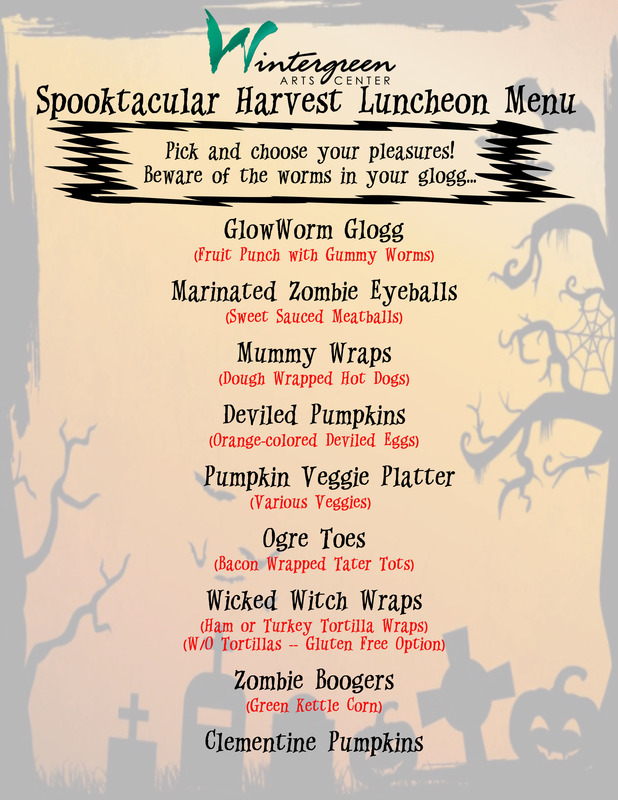 A harvest themed luncheon will be spread out for all ticket-holders and a parent [or accompanying guardian] to enjoy. And to top it all off, we will line up parade-style as we march up and down Main Street to go trick-or-treating to local businesses between Academy and State Street! Each ticket for one child [and accompanying adult] must be purchased in advance! Spaces for each session are limited, so make sure you don’t miss out on this frightfully fun event!